Hello all you Snow Bunnies! I'm excited to bring you today's post featuring some fun winter products I've found that would also make wonderful gifts. In fact, I happened upon most of them while I was out completing my holiday gift list. 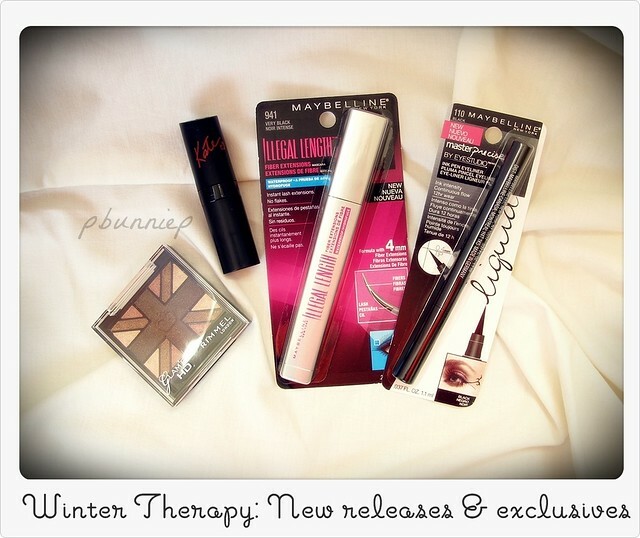 You'll also get a peak at some new drugstore releases... well then, what are you waiting for? Click the video to enjoy! 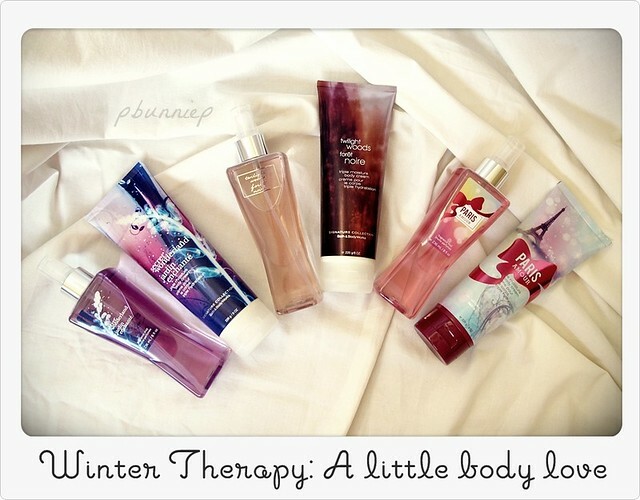 These Bath and Body works products are just darling! I've never splurged too much on bodycare, what you'll find most often in my drawers are $2.99 bottles of Vaseline. However I think these products just create a lovely experience overall, these days I can't wait to shower so I can put on the body creams. They aren't too expensive at their regular price (much less than I thought they would be) but it's certainly a great treat when they are on BOGO! You'll definitely be seeing more Bath and Body works products featured in the future. Ooooh, this love/hate relationship with my hair. I know it's time for a trim and eventually take off all my coloured ends but I can't bare to part with my hair just yet. Thus I've been looking up and down for great hair treatments. 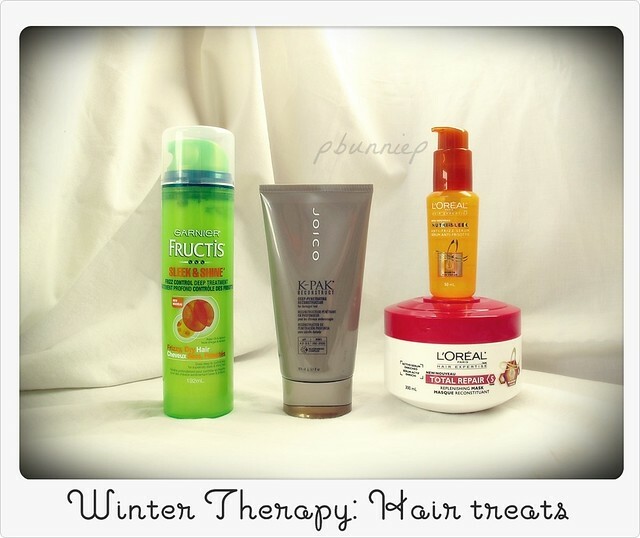 The Garnier Fructis was a delightful surprise, I even went back to pick up an extra bottle and also a frizz serum from the Sleek and Shine line (reviews to come when I'm ready!) As for the JOICO K-Pak Reconstructor? There are no words for how thrilled I am to see this sitting in my bathroom. I have yet to find a hair care line that performed in the same way as this ph-balance, protein rich JOICO system. Try looking for them in "sets" which are often at discounted prices, these guys are sure to please all! 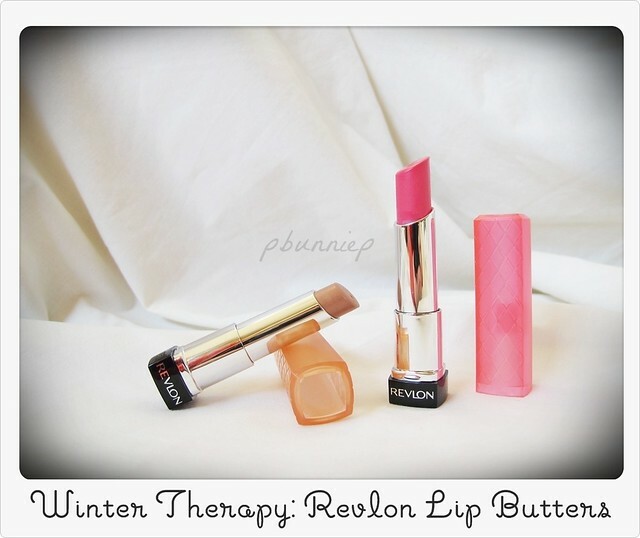 I'm sure these Revlon Lip Butters have been hyped to the moon and back. The new trend in lipcare products seem to be this new balm/lipstick hybrid which seems to me like a lip version of "BB Creams". Meant to treat and paint your pout in lovely shades of cranberry, ruby, raspberry and caramel, I love the way they make lips look but really wished they were less expensive. The pink tube is twisted all the way up and even though it's new, the total product seems quite minimal. There should at least be 20-30% more in the tube in my opinion. And lastly, I shall leave you with this photo of some new releases and my ASOS order. I really wished that ASOS would carry more UK lines, it's always incredibly exciting to be able to test out products from other parts of the world. The Union Jack Rimmel palette is said to be released in Spring 2011 in North America (probably later for us in Canada) and is likely to have a slight variation in colour theme than the UK version. Unfortunately, I can't be sure when and if the Kate collection of lipsticks will ever cross the pond. Look out for reviews and tutorial featuring these new drugstore products very soon, I have a couple looks planned which I think will go very well with these items. I hope you guys are looking forward to the holidays and getting wrapped up in the hustle and bustle of the season, it only happens once a year!